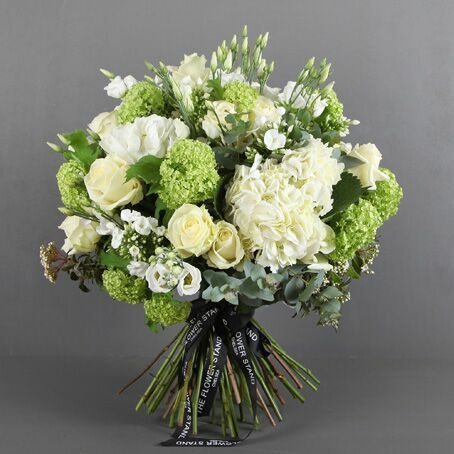 A beautiful Spring bouquet of white and green Hydrangeas, Guelder and Eucalyptus. 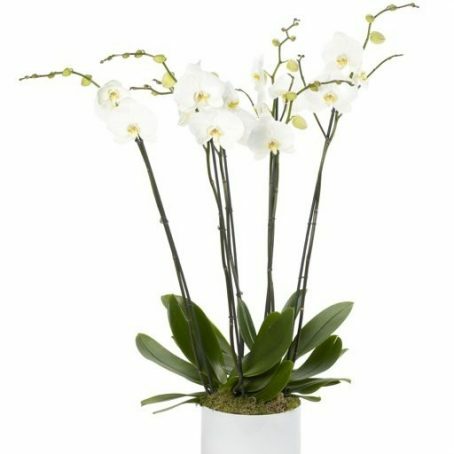 Our expert florists have created this elegant bouquet to celebrate the coming of Spring. Categories: Valentines Day Bouquets, Autumn Flowers, Mother's Day Flowers, New Baby Flowers, Spring Flowers, Summer Flowers, Sympathy Tributes. Beautiful Hydrangeas are integral to this elegant bouquet. 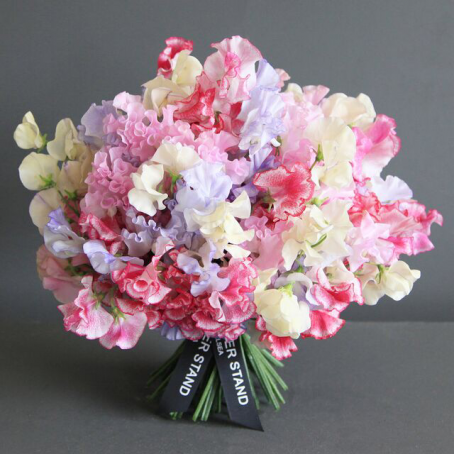 A beautiful spring bouquet of the finest quality cut flowers, hand tied by our expert florists from our base on Fulham road in Chelsea. Red Naomi roses, red Skimea. 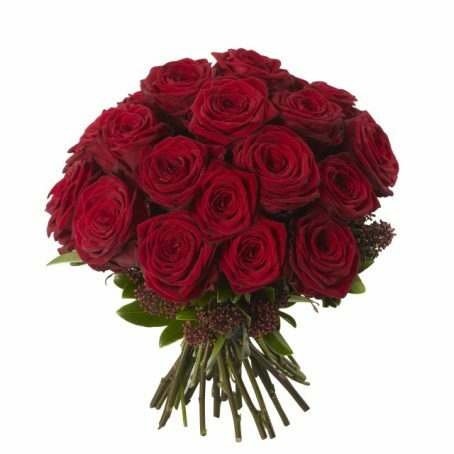 Also available using the following roses – black baccara (dark red), sweet avalanch (soft light pink), white avalanch, cherry brandy (orange and red).